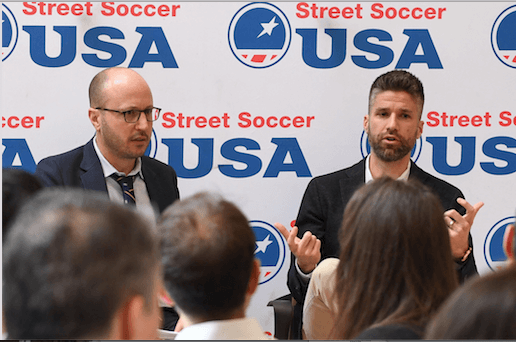 Looking to make the beautiful game more accessible and attractive to a larger population of American youth, the efforts from Street Soccer USA and its national board chairman Kyle Martino could very well be a long-term solution for the ongoing soccer woes in the United States. We spoke to Martino about his role with SSUSA, his plan to defeat the pay-to-play system, and how he’s been able to recruit a star-studded group of ambassadors to join him. With a career that included six seasons in MLS and time with the United States men’s national team, Kyle Martino has continued to remain involved with the game after injuries cut his playing days short. Martino during his time with the LA Galaxy. In addition to serving as a TV analyst covering the English Premier League, Martino ran for U.S. Soccer president earlier this year. His main campaign platform was to reform the pay-to-play system prevalent throughout the country and to make the game inclusive and accessible to all. 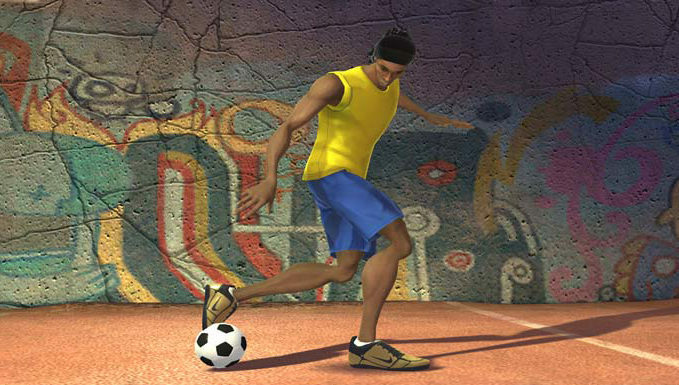 During his campaign, he became acquainted with Street Soccer USA, bonding over the values and ideas that they shared. After eventually losing the election, SSUSA approached him with the opportunity to chair their national board. He gladly accepted. 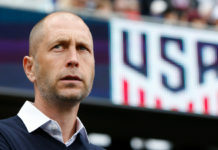 In the months since his appointment, he has been heavily involved with the organization, including being instrumental in bringing in SSUSA’s two newest ambassadors, Clint Dempsey and Mia Hamm — maybe you’ve heard of them. 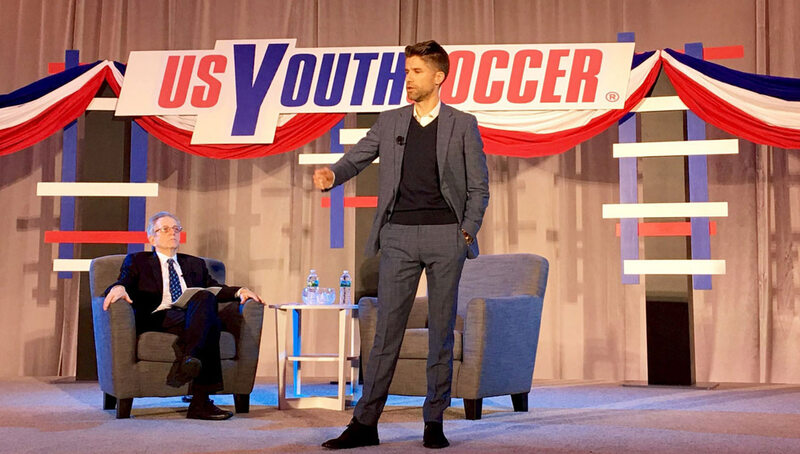 Martino, Hamm, and Dempsey, along with the greater SSUSA organization, is looking to build a nationwide grassroots soccer culture from the bottom up, looking to remove economic and logistical barriers to the game. Martino (right) at a SSUSA discussion panel during his presidential run in February. Martino’s longstanding involvement with soccer has naturally led to relationships with a number of former and current players in the MLS and beyond. 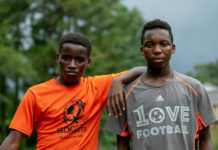 According to SSUSA co-founder and Chief Impact Officer Rob Cann, most of these players understand that soccer is a global game played in the streets and on the grassroots level in other countries. They realize that the future of the game in the U.S. is going to have to be more inclusive and they want to address that. The players involved in Street Soccer USA see an opportunity to grow through a national network of citywide street leagues with a focus on social impact. Street leagues like those in Atlanta’s Metro Pitch Stations are the big idea. They want to connect soccer to youth and urban culture in an authentic way. It’s really cool that all of this has come out of a failed candidacy by Martino and it’s proof that there can still be progress even in losing. Anyone who has played competitive youth soccer in America knows how expensive the game can get. The better you get — the more expensive. The more opportunity you’re looking for — the more money you have to put in. So much of that runs completely opposite to the way the game works in other parts of the world. Yes, on one hand it’s uniquely American to have this pay-to-play system and because of that it has a certain value and aesthetic to it, but it’s not the be-all-end-all and it can definitely stand for some reform. We had a chance to talk to Martino about his ambitions for the future of U.S. soccer, the importance of going out and playing on the streets, and how he was able to recruit Dempsey and Hamm onboard. Martino (right) at the Street Soccer USA Times Square Cup in July. Urban Pitch: How did you first get involved with Street Soccer USA? Kyle Martino: In the aftermath of the U.S. Soccer presidential election, I wanted to make sure that the momentum we had, the group we galvanized, and the mission to raise awareness about the issues of consequence that we saw about the game in this country was still alive. The top-down approach that we employ is destroying so many things about the beautiful game as it exists in other countries. It’s turning it into a rich kid’s game and has locked so many people out. 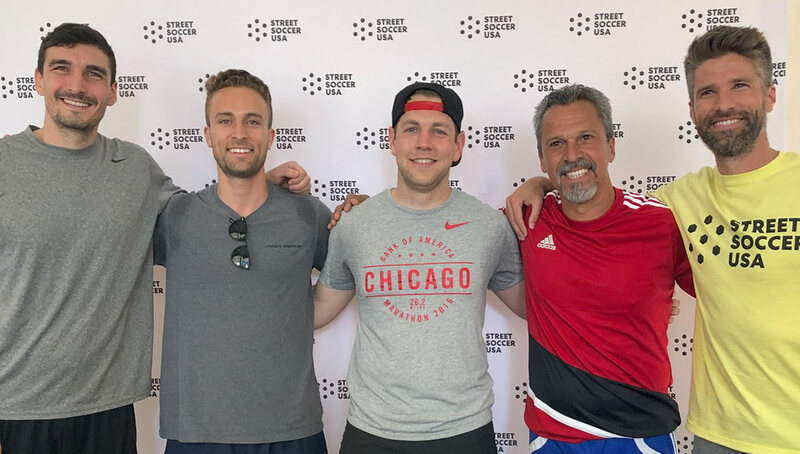 So I spoke with Rob and Street Soccer USA throughout the campaign to better understand what they’re seeing as people that have had boots on the ground. They’ve seen how this wonderful sport can galvanize and empower communities, but also how the challenges based on the machinery of the game in this country have locked so many kids out. So it was just clear to me because it was central to my platform during my presidential campaign that I wanted to get involved in that space, and I was humbled that SSUSA offered me that opportunity by chairing the board. It’s about time that we recognize all the people doing amazing things, like Street Soccer and other groups at the grassroots level, and start to get behind them and help them accomplish great things. What role do you see Street Soccer USA playing in American soccer? Is it important for soccer to be a poor person’s game? Well, it is a poor person’s game everywhere around the world but here, so it’s incredibly important that soccer doesn’t discriminate and that the game is a social vehicle that should be there for the people that need it most. You know, we are at an incredible time in our country where sports and social justice are intersecting, and at that intersection is incredible innovation. If you look at Nike’s Kaepernick ad, the desire to put resources, infrastructure, and corporations behind a movement to use a very democratic and incredible vehicle, which is sport, can bring people together and get things accomplished. Soccer does that around the world better than anything else. As SSUSA national board chairman, what are some of the roles you’ve played to reach those goals? Initially it was building the national board. So it was getting friends, former teammates, and people that I admire to join the mission and then build an incredibly impressive group of people that have different skill sets, but share a unified vision in terms of what sport can do for so many people in need. I think my role as chairman is not just to bring leadership and vision, but to also listen and understand who we are and what we can do and try my best to use my profile, my pulpit, and the people I know to bring attention to these issues. How did you get Clint Dempsey and Mia Hamm to join? The good thing about Mia and Clint agreeing to join is that they’re two heroes of mine and I think that they perfectly encapsulate who we are as an organization to street soccer. As an organization it’s about community, coming together, setting goals, work ethic, determination, and compassion — all the things that I think Clint and Mia encapsulate. Clint is a street player. He grew up playing co-ed recreational soccer with Hispanic adults and his game has street all over it. Mia is one of the best players I’ve ever seen play the game. So to have the quality of player that they are and the beacons of hope that they are in terms of how they inspire people and the challenges they’ve overcome in their lives is amazing. 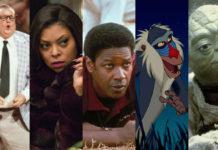 I mean, they’re the two wish list people you’d hope to get. And the reason I was able to get them is the character that they have, and the incredible organization that Rob and [SSUSA CEO Lawrence Cann] have built. But also, I’ve been able to establish great relationships with so many people in the soccer world without any agenda. And I never once thought I would ever be asking for something from Clint and Mia. But when it came time to ask them, they said yes immediately because the ask is so easy. It’s something they care about and they were grateful that I asked. I just feel so fortunate to know them and to be able to bring incredible people like that into an organization that’s changing the lives of so many kids. So where does SSUSA stand at this point? What juncture are you at? Well we’re in a bit of a rebrand and we have a new logo now. We have a new identity and we have a new board. We’re bringing on our first major corporate sponsor and that’s going to be a really big announcement, hopefully we’ll be making it in the near future. And that’s the big piece here — bringing on incredible people like Steve Nash and Tim Howard and the wonderful business minds we have on our board, along with the ambassadors like Clint and Mia. We’ve been able to get meetings with groups that can really increase our bandwidth and get behind us so that we can hire more people to run our programming. So ultimately we’re in more cities and we’re serving more kids. And what is your long-term plan? So, where “the system’s” border stops and the rest of the soccer community’s begins is a vast landscape. So I think it’s irresponsible and naive to think we can serve all of that. There are many people that need to be in the space and many people that are doing great things. Soccer in the Streets is an incredible organization down in Atlanta that’s using these metro stations and building fields there. There’s a lot of people doing great things and Street Soccer USA is a cog in that big wheel. For us, the big mission is to make kids fall in love with this game and make sure that the game is there for them. In terms of where the game takes them — competitiveness, and developing stars — I’m sure we’re going to unearth incredible talent in the cities and these urban areas where kids across the world are coming from. But the goal is not to create an increasingly competitive organized league or system. It’s just about making sure that kids feel the love and support that this game can give you and then connect them to the people that should be taking them to the next level. Martino playing in the Steve Nash Foundation’s celebrity charity match. So is the primary focus spreading the game rather than developing talent? By default, I’ve developed as a soccer player mostly without a coach around. I developed as a player kind of like Malcolm Gladwell says in Outliers, logging 10,000 minutes. I played a lot of unstructured soccer with Hispanic adults in Bridgeport, Connecticut and Caribbean adults in Mount Vernon with my buddy Edson Buddle. And so the main goal we have is to introduce the greatest game on the planet to the most amount of kids that we can. In terms of developing talent — that’s going to happen for sure. But we’re not an academy, you know, we’re not here to coach and develop kids. We’re here to develop human beings that can feel themselves and see their potential and achieve that trajectory and put them on a better path in life. And if that path is to become a professional soccer player, I mean, no one is going to be happier than me. I know the small percentage of people that make it to even a competitive college level, so the goal can’t be to develop professional players. We are not an organization set up to do that. The goal should to be get as many kids as possible in our programs to fall in love with our game and get them the support that they need so that they can be better students, daughters, friends, mothers, brothers, teachers, and coaches. These kids in our program are going to go on to do many great things in life, and soccer is just a byproduct of that. That’s the beauty of the game. It teaches you to be a great person and if you end up being a great soccer player, well that’s just a bonus. And this is free for all participants? Yes. And it has to be. The game shouldn’t have to rely on a socioeconomic golden ticket to be able to participate in this game and stay involved in it. I grew up in a blue-collar family and my dad ended up becoming very successful and so he was able to pay to put me into the system. If he gave me my soccer education bill now, I probably couldn’t afford it. I mean, I can’t imagine the amount of money he had to spend on a kid that played at every single level in this game and then played in every single state and traveled to every single tournament. But I remember the beauty of playing this game for free. And so the fact is that we’re pushing kids towards these environments where the barrier to entry is enormous and the cost is becoming egregious. That’s becoming worrisome because even those kids whose parents can afford to play in it aren’t enjoying it as much as we do. Asking kids to specialize in one individual sport at a young age is a massive mistake. So I know Street Soccer USA believes that we’re just one piece of their life and we want to give them something where they feel a part of it. If they’re playing basketball, baseball, hockey, or whatever else at the same time, then great. Do it. Part of me feels a bit of guilt that there were better players than I was. Gatorade National Player of the Year in high school and all that would suggest that I was the best player in this country born in 1981. But I know that’s not true. I know there were plenty of kids born in 1981 that were much better soccer players than I was. They never got a chance because they didn’t have the money. It’s true, man. I remember these kids when I was little thinking, “Wow, I’ve got a ways to go,” and all of a sudden the next year came and then I looked up and they weren’t there anymore, and it wasn’t because they weren’t good. It was because their parents couldn’t afford it, or they had to go get a job. It’s not fair to be priced out of a game that doesn’t cost anything to play. 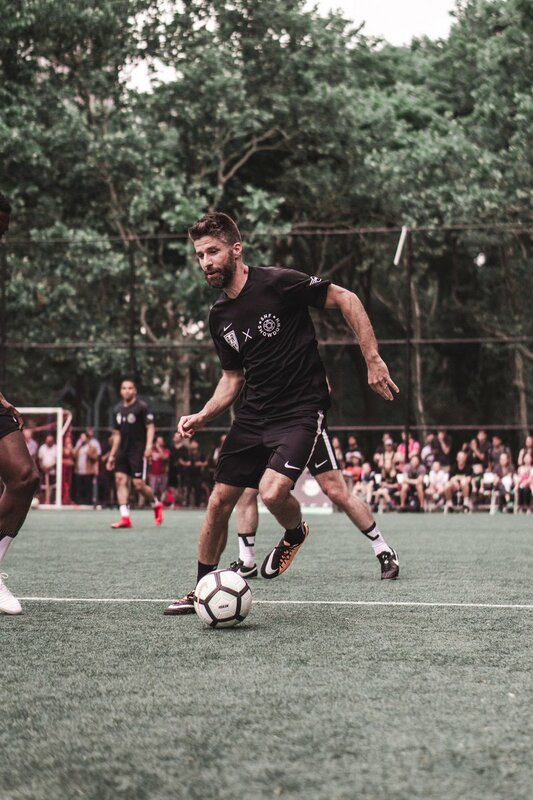 Be sure to follow Street Soccer USA on Instagram and Kyle Martino on Twitter to keep up with their latest efforts to improve the U.S. soccer landscape. Japanese Girl Rocks at Freestyle and She’s Only 7 Years Old? !